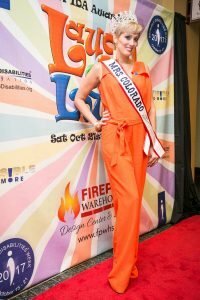 Kimberly Reece is the wife of her high school sweetheart Adam, the mother of four amazing daughters, a labor and delivery nurse, a volunteer and the reigning Mrs. Colorado US Continental. In 2012 her world was shaken when her then 8 year old daughter tried to kill herself. 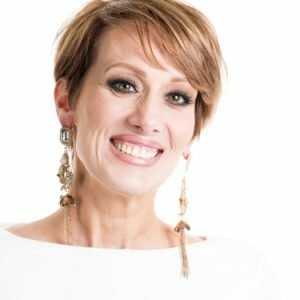 Five years later, countless hours with therapists, psychiatrists, hospitalizations, 72 hour holds, suicidal ideation and attempts, medication trial and errors, and a mental illness diagnosis Kimberly has become a “mama bear” and an advocate for suicide prevention and mental health in adolescence. Her passion is spreading awareness to her community. Mental illness affects 1 in 4 youth and suicide is the third leading cause of death for youth between the ages of 10-24. Before experiencing this herself, Kimberly didn’t know this was as big of a problem as it has become. Kimberly has heard, ” but she looks normal” so many times by family, friends and teachers and was not sure how to address the situation. The stigma related to mental illness and suicide is debilitating. It is something that is just not talked about. She was relieved when she found the Invisible Disabilities Association, through her friend, the amazing Katie Maskey. Finally there was a name and support for what was “wrong” with her daughter. Kimberly knew IDA was something she wanted to be a part of. Living with a mental illness makes her daughter feel judged and alone and IDA has helped through its amazing network and social media to help Kimberly know how to address these feelings and show her daughter that she is not the only one dealing with an invisible disability. There are people on her side working on legislature and awareness, fighting for her. It has been a long 5 years and puberty is adding itself to her daughter’s disability. They have a long uphill battle but are determined to give her everything she needs to reach her “normal”. Kimberly speaks out about her experience as the caregiver of a child with mental illness and strives to help erase the stigma. She is excited to be an ambassador for IDA and can’t wait to see where the partnership leads.